A couple of months ago, we had a big family adventure and flew to the opposite side of Australia to visit some special friends of ours (Hi Colin and Judy – our kids miss you Will and Molly!). We had such a lovely time with them and they were so accommodating with food and allergies for us. 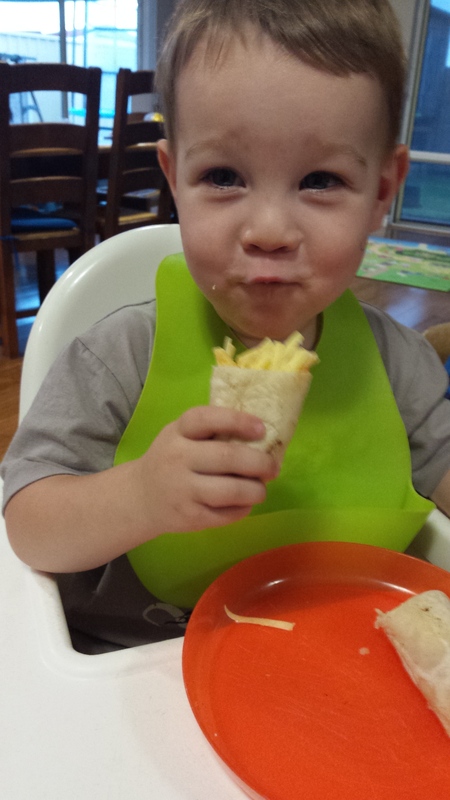 One night Colin made special spelt tortillas for Ellie to have with her dinner. It was super simple so I resolved to get on to it myself! Given how popular Mexican meals are in our house and how much success I’ve had in changing over to home-made version of seasoning and salsa, I figured that corn tortillas were the way to go. Corn tortillas are made not from corn meal but from masa harina – ground corn kernels that have been soaked in lime water. You only need 3 other ingredients and a few minutes and you have a dough ready to go! Place all ingredients into processor and pulse several times to bring dough together. It should feel a bit like kid’s playdough – if the dough is still crumbly, add a couple of teaspoons of water at a time, and if it is too sticky add a teaspoon of masa at a time. 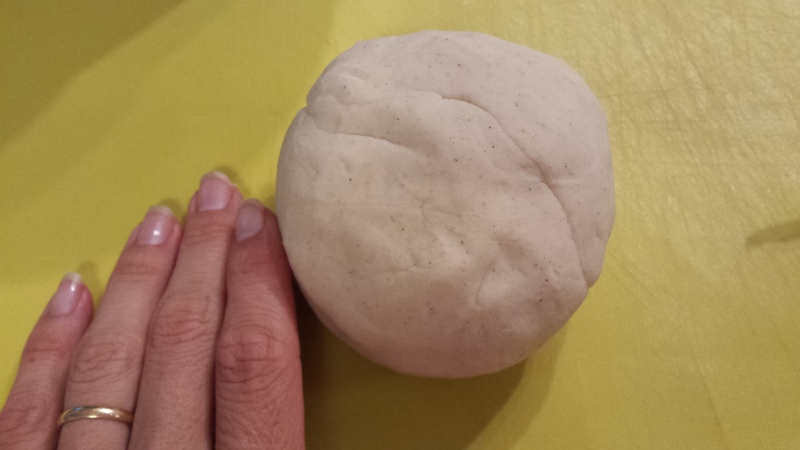 Tip the dough out, knead gently until it is springy and form into a ball, cover and allow to sit for about 20 minutes. 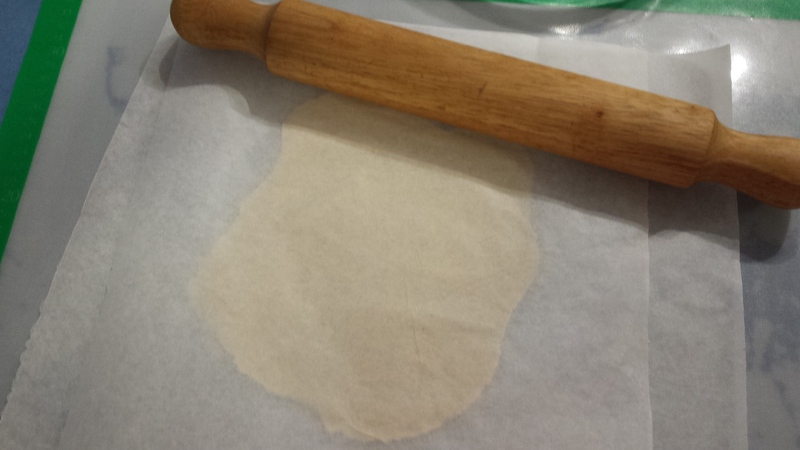 This allows the masa to properly absorb the water. 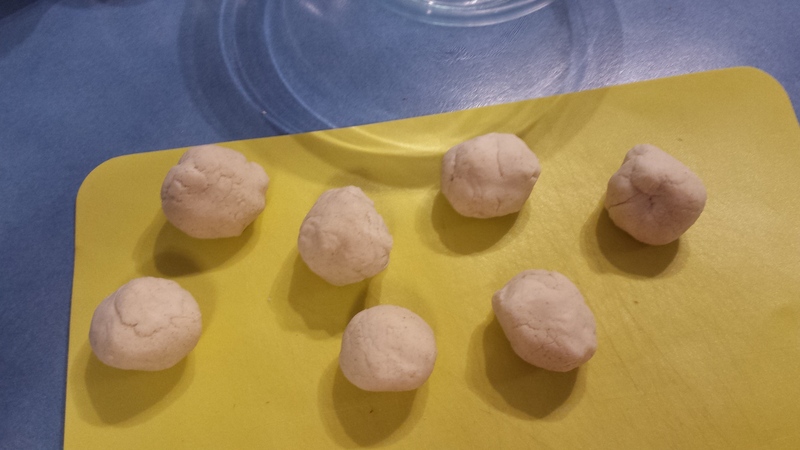 Break the dough into golf ball sized balls and roll out very thinly between 2 sheets of baking paper. This size makes about 6-7 inch round tortillas. 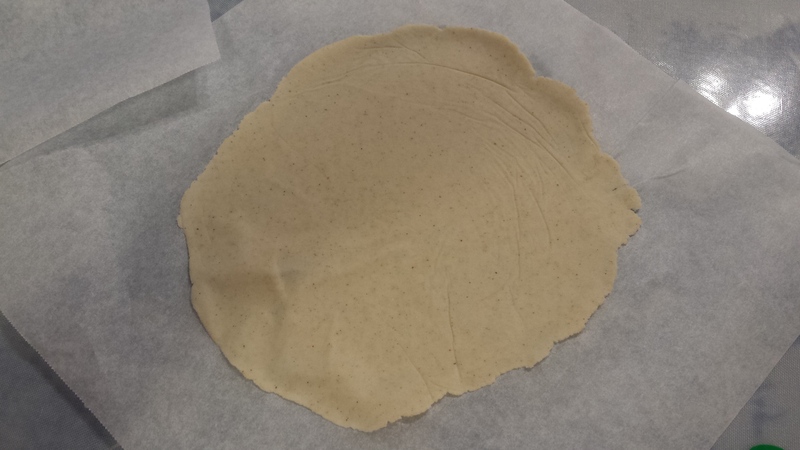 Increase or decrease your dough to change size tortilla you desire. I need a bit more practice to get them round! Place in a hot frying pan and cook for 1-2 minutes on each side. Turn when it bubbles and is golden. 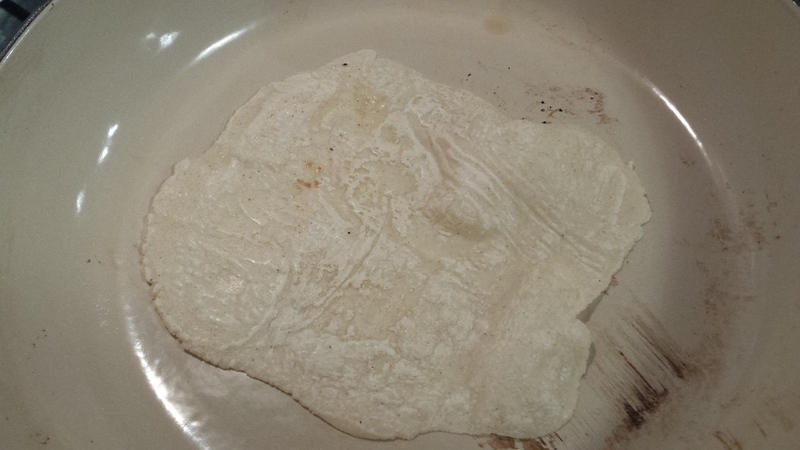 After cooking each tortilla, place in a stack on a plate and cover with a clean tea towel. The steam will help to soften them and keep them warm. They are soft and pliable … unlike most gluten-free wraps! Use immediately or allow to cool and store in the fridge in a ziplock bag for a couple of days. If you need to keep these for longer, allow to cool then place in a stack in a ziplock back with baking paper between each one. Then place flat in the freezer. Easy to remove one at a time and reheat. To reheat, place on a plate and cover with a dampened paper towel and heat in microwave until soft and warm again (between 20 and 40 seconds depending on your microwave. This quantity of dough makes 12-14 tortillas. Enough for 1 meal for our family. Follow method as above, then use kitchen scissors to cut into pizza slice type wedges. Spray with oil and sprinkle with salt. Place on a lined baking tray in a preheated 200C oven and bake for about 10-12 minutes, until golden and crispy. Don’t over crowd the tray. They will crisp up more as they cool. Follow method for making tortillas, but make them smaller, to fit the size of a large muffin tin. Spray with oil and sprinkle with salt then press into the holes of a lightly muffin tin. Place in a preheated 200C oven and bake for about 10-12 minutes, until golden and crispy. Allow to cool for a few minutes before filling with your taco mix and salad. You can use these tortillas in so many ways – to make enchiladas, burritos, tacos, breakfast wraps with egg and bacon, salad wraps for lunches, even for a thin and crispy pizza base.